As a recognised awarding body regulated by Ofqual, the regulatory body for qualifications in England, CTH operates to exacting standards of academic governance. Full details of procedures, oversight and academic control are available to relevant authorities on request. At the highest level all academic matters are overseen by the CTH Academic Council which is made up of experienced and responsible educational practitioners with specialist expertise in the sector. 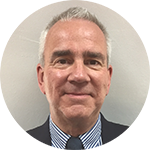 Alistair N. Sandall FIH, Head of Professional Development at Institute of Hospitality previously worked as a general manager with Macdonald Hotels & Resorts, Thistle Hotels, and Hanover International Hotels and Clubs for over twenty years. He also spent three years with Southern Sun Hotels in South Africa and joined AA Hotel & Hospitality Services in 2006 and was ultimately Commercial Manager. He continued to inspect hotels and restaurants for a period of over 11 years as well as heading up the training and consultancy division and looked after key client relationships. He took the HCIMA Final Membership qualification at Ealing Technical College as his route into the hospitality industry and has been a member of the Institute of Hospitality throughout his career. He is well-versed in the range of professional development resources he manages, and brings the necessary experience to develop the industry's next generation of managers and leaders. Hospitality and quality are Alistair’s DNA. Having started cooking at 16, Ben has gone on to work in some of the UK's most prestigious and interesting kitchens from The Carlton Tower Hotel, Selfridges Department Store, Hyatt Regency London - The Churchill, Goldman Sachs, The Royal Horseguards Hotel & the Royal Lancaster London. During decades of working in high end establishments Ben’s kitchens were also used for the trade tests on MasterChef UK. Sourcing and cooking local, seasonal and sustainable products is one of Ben’s culinary passions and being an ambassador for the charity Springboard UK and working closely with many schools, colleges and universities, Ben is also extremely passionate about developing and cultivating the skills of young Chefs. Ben studied at Waltham Forest College where he completed both the 706 and NVQ qualifications. Ben then went in to complete an advanced diploma in culinary arts at TVU in Slough achieving a distinction grade. In a quest for constant development, Ben only recently in 2018 completed a level 5 in leadership & management with Umbrella Training and qualified as an End Point Assessor completing his Cava Level 3 Award. 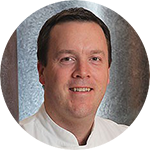 Ben has strong links with the industry working with as well as those already mentioned - Craft Guild of Chefs, Royal Academy of Culinary Arts, Chaine des Rotisseurs, Westminster Kingsway College, University of West London, EHAP and The Clink. We are delighted to welcome Denise Ridler as a new member of the CTH Academic Council to strengthen the Council’s oversight and direction of our work related to the Travel industry. Having worked in the travel industry for over 30 years, both in management and development, and also with leading travel agencies, Denise has a detailed knowledge and understanding of today’s travel business. Denise worked for a multinational travel company for 17 years, 10 of those as International Training Manager, where she worked at all three head office sites in Oxford, London and Dublin. 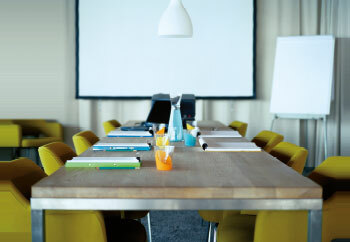 This company was at the forefront of travel training in the UK at that time and provided unique training solutions to 52 offices. Denise wrote, developed and implemented all the training for counter staff up to and including the Managing Director. Denise also developed a pay linked system starting at Induction level and increasing towards management level, and was instrumental in delivering a fast track management trainee scheme. 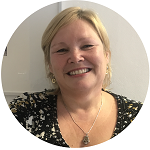 Denise started her own training company in October 2000, providing travel companies with either bespoke or standard training solutions including train the trainer programmes, recruitment and coaching skills, and formal qualifications such as in Fares and Ticketing using Galileo / Travelport and Sabre systems. She specialises in Business Travel and Tour operations, and keeps up to date with industry trends by training, engaging with travel industry contacts and other continuous development activities. Denise has travelled extensively around the globe throughout her career and also lived in Australia for a year. She now lives in Oxford with her husband and daughter. Dr Tyler is an expert in policy analysis, destination planning, urban tourism and regeneration. He has over 20 years consultancy experience in the tourism field including town planning, business planning and feasibility studies and strategic policy studies. He has published on issues including tourism education, tourism policy analysis, ecotourism, the role of tourism trade groups, urban tourism management and tourism in London. Qualifications include PhD, M.Soc.Sc, BSc (Hons). PhD (2007) Realities, Networks and Tourism Policy in England (1997-2001) School of Planning, Oxford Brookes University. M.SocSc (1984) Urban and Regional Studies (specialised in Leisure and Tourism) Centre for Urban and Regional Studies, University of Birmingham. BSc (Hons) (1982) Environmental Sciences (major in Environmental Policy Studies) University of East Anglia. Advisory Posts include: Member of Curriculum Development Group for 14-19 year Diploma in Tourism and Travel; Working Party on the Assessment of Good Practice in Writing Tourism Strategies for the Association of District Councils 1997; Policy Advisor to the Local Government Association on Tourism and Regeneration; Cross River Partnership, London. Keyth has been Chair of the CTH Academic Council since 2009. He recently retired as Catering and Academy Manager at Gloucestershire College, where he was responsible for managing a range of courses from Schools Links for 14-16 year olds to a Foundation Degree, whilst also running three commercial restaurant operations offering a fine dining experience in a teaching and learning environment, and running the college’s £1m in-house catering provision across seven campuses. 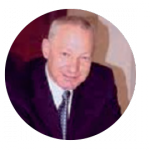 He has over 30 years’ experience teaching catering, hospitality and tourism in a number of Further and Higher Education Institutions in the UK and Hong Kong. His work in industry includes contract catering management and head chef at Britain’s first theme park, Thorpe Park. 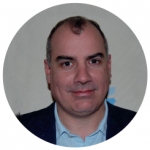 He has experience as an external moderator and examiner with BTEC and AQA/C&G and consultancy with Hong Kong Tourist Association and Barrelfield Golf Network. In 2014 he published a book on Basic Cookery for Foundation Learners. He is a Fellow of Confederation of Tourism and Hospitality FCTH, holds a Cert Dip AF from the ACCA and is a retired Fellow of both the Institute of Learning and Institute of Hospitality. The school delivers both face to face and online International Hospitality and Event Management, Pre-Masters Diploma, International Foundation Certificate and ‘Pathway’ programmes, together with a comprehensive range of academic English and study skills preparatory courses. The school is also responsible for BPP Apprenticeship Functional Skills training. In addition to his role as an Academic Council member for the Confederation of Tourism and Hospitality (CTH), Paul’s other roles include: University Pro Proctor; member of the University Executive Training Council; Learning, Teaching and Assessment Committee; Chair of International Agenda Working Group; member of HEA Change Management group and well versed in the writing and validation of numerous UG and PG programmes. His management career includes senior and varied roles within the hotel and hospitality industry latterly as General Manager of the Washington Hotel, Mayfair, London and Retail Operations Director for a division of Compass before leaving to successfully set up his own company involving corporate and concession outlets in Health Clubs and IT companies. Hannam, K. and Diekmann, A. 2010. Tourism and India. London: Routledge. Hannam, K. and Knox, D. 2010. Understanding Tourism: A critical introduction. London: Sage. Hannam, K. and Diekmann, A. (eds.) 2010. Beyond Backpacker Tourism: Experiences and Mobilities. Channel View. He was previously Academic Director and Head of Business at West London College, the London Associate Campus of Heriot Watt University. He spent the first 10 years of his career in marketing and strategy roles for major corporations in the electronics and automotive industries including Philips and ITT, culminating in a Marketing Director role. In the early 1990s he was a founder of energy management innovator SimmTronic where he was Managing Director. He then embarked on a new career in Higher Education and has taught in around 30 countries worldwide for Durham, Surrey, London, Ulster, Bradford, Liverpool and Hull Universities. He was also Dean of Business at AIU London. 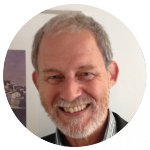 Roger also has extensive consulting experience, projects taking him to the Middle and Far East and South America. Outside of industry, he is big supporter of the Arts, particularly theatre. Steve is a respected author and Professor of Corporate Governance at Bournemouth University, UK. Previously he held the post of head of department of Accounting, Finance and Economics and Chair in Corporate Governance at Bournemouth University. 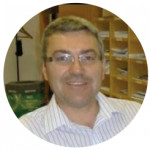 Steve has also held senior positions at Liverpool John Moores University and Leeds Business School. He is visiting Professor at the Universities of Poznan, Poland and Griffith, Australia. He has an extensive research and publication record with well over 200 published papers. In 2013 his 2004 paper published in Corporate Governance: an international review was republished as one of the top ten most cited papers to celebrate the 20 year anniversary of the journal. In addition to holding a Masters degree from the University of Manchester and a Doctorate from the University of Bradford, Steve is an elected Fellow of the Institute of Chartered Accountants in England and Wales, Associate of the Chartered Institute of Taxation and Fellow of the Royal Society of Arts. 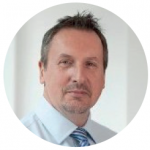 Steve is also a founder member of the Research Forum on Operational Risk, which advises bodies such as the Bank of England on policy. He has also acted as a panel member of the Quality Assurance Agency for Higher Education in the UK. In addition to his research and university work Steve is a non-executive director in four companies. He was a member of the Department for Trade & Industry and the Economics & Social Science Research Council’s jointly sponsored ‘think tank’ on Corporate Governance. 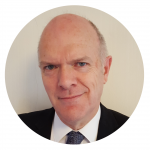 A widely sought after specialist, he has worked for government departments and multinationals including the large automotive company, Continental, and the British Broadcasting Authority (BBC).